Victoria Farnsworth, nee VanPelt, grew up on Bainbridge during the 1950s and 60s. Although Farnsworth now lives in Arizona, she has written several books about her life on Bainbridge. 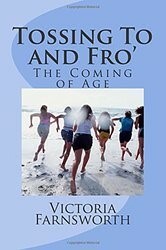 Her first book, Welcome Aboard (2014), relates the first eight years of life on the island and gives a wonderful glimpse of island living in the 1950s. 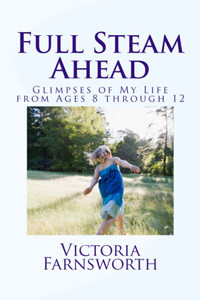 Farnsworth's second book Full Steam Ahead (2014) and her third book Tossing To and Fro (2014) continue the narrative. Her fourth book Changing Tide: California Dream or Nightmare? (2014) covers Farnsworth's teenage years in California. 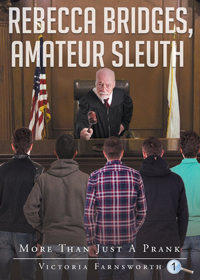 Most recently, Farnsworth has written a fiction series for young adults, called Rebecca Bridges, Amateur Sleuth. The first book in the series is More Than Just a Prank (2017). 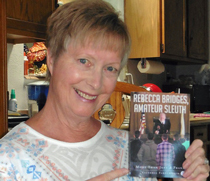 The soon-to-be published fourth Rebecca Bridges book is called Mystery at Agate Pass.